வாயுள் வையகம் கண்ட மடநல்லார்* ஆயர் புத்திரனல்லன் அருந்தெய்வம்*;பாய சீருடைப் பண்புடைப் பாலகன்* மாயனென்று மகிழ்ந்தனர் மாதரே. Today 6th Sept 2015 is a day of great significance, for we Celebrate the ‘Birth of Bhagwan Sri Krishna’ as Sri Jayanthi. Ithihasa Puranas are the fundamentals to tenets of Vaishnava philosophy and one can learn everything in Sri Ramayana and Mahabaratha. The birth of Lord Sri Krishna at Mathura to Vasudeva and Devaki is celebrated with gaiety everywhere. 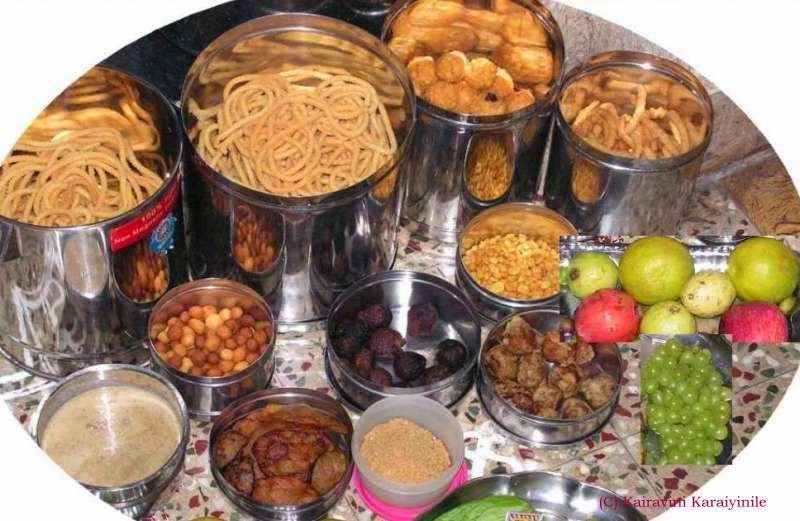 While some celebrate the coming of Lord Krishna to this Universe on Ashtami day as ‘Gokulashtami’ – in South India, it is more with the star of ‘Rohini’ and the birth day is being celebrated as : Krishna Jayanthi, Janmashtami, Gokulaashtami, Sri Jayanthi and more – all various names celebrating the birth of Bhagwan Lord Sri Krishna in this Universe on the Ashtami (8th day of dark half of Krishna paksha) on the Rohini Nakshathiram. This year, the festival falls on 8th Sept 2012. Will post tomorrow on why only this is ‘Sri Jayanthi’. Lord Krishna was thus born with parents incarcerated and being moved under heavy showers crossing Yamuna river in spates, being protected by Adi Sesha – to grow up in Gokul with cowherds. Those there had the fortune of watching Krishna grow up – every now and then revealing glimpses of His identity. As can be understood from the words of Periyalwar – ‘ the grand ladies of Gokulam, chased the child with Yasodha chiding Him for eating the earthen sand; when He opened the mouth, they realised and exclaimed with glee ‘ He is no ordinary cowherd child; but the blessed Lord Himself – fully imbued with all auspicious qualities”. At Thiruvallikkeni Sri Parthasarathi Swami temple, His birth would be celebrated at around 9 pm today with Krishna in ‘Kaithala Sevai” - later there will be ‘Thirumanjanam’. Tomorrow morning there would be purappadu of Lord Sri Krishna dancing on kalinga. Tomorrow there will be purappadu of Lord Parthasarathi in Punnai tree vahanam. On this occasion, ‘uriyadi’ – the game of hitting the hanging gifts with sticks when others fiercely throw water is played. 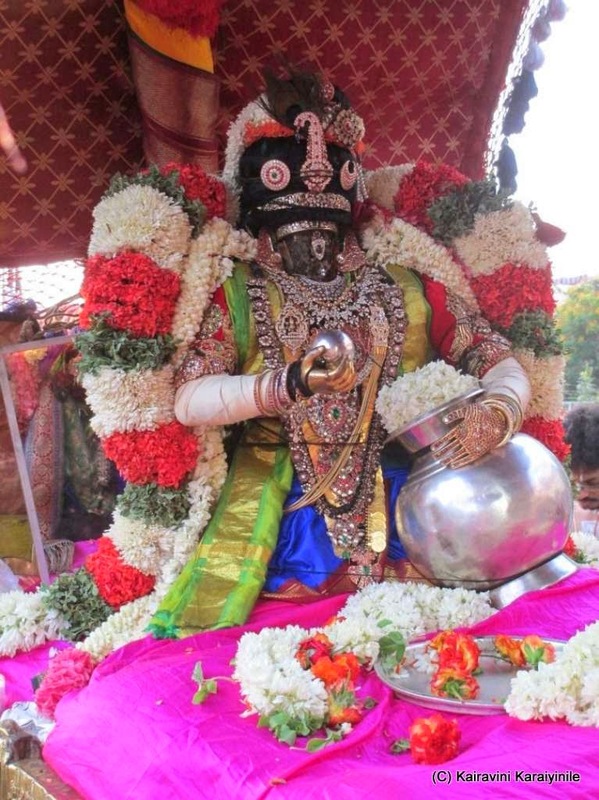 The photo above is Sri Parthasarathi in Vennnai Thazikkannan – on day 8 of brahmothsavam. It is not in Temples alone - devotees all over celebrate this day in a manner that Lord Krishna is born in every house. They paint the footsteps of little Krishna in their houses, have the vigraha of Krishna adorn new clothes and offer choicest dishes to the Lord, many of which are referred to in the Naalayira Divyaprabandham also. Sri Periyazhwaar has sung songs celebrating all aspects from the birth of Sri Krishna, to His crawling, His toddling, requesting him to adorn ear rings; offering Him various flowers; bathing Him and more… Lots of fruits are also offered to Krishna at every home. கண்ணன் பிறந்த இந்நாளை எல்லா திருகோவில்களிலும், எல்லாரது இல்லங்களிலும் சிறப்புற கொண்டாடுகிறோம். யசோதை ஸ்ரீக்ருஷ்ணருடைய திருப்பாதங்களில் ஒன்பது விரல்களுக்கு நவரத்ன வர்ணத்தையும் மற்றொரு விரலுக்குப் பொன்னிறத்தையும் இட்டு கண்ணனை கொஞ்சி சீராட்டி வளர்த்தாக பெரியாழ்வார் பாடியுள்ளார். அந்த குழந்தை கண்ணன் நம் இல்லங்களுக்கு தவழ்ந்து தளர்நடையிட்டு வரும் அனுபத்தை ரசித்து, இல்லங்களில் கண்ணனின் திருப்பாதங்களை வரைந்து, பூஜை அறையில், கண்ணபிரானை நீராட்டி, புது ஆடை உடுத்தி, அவருக்கு பலவித பழங்களையும் பக்ஷனங்களையும் படைத்தது நாம் கொண்டாடுகிறோம். பெரியாழ்வார் கண்ணன் பிறந்தது முதல் ஒவ்வொரு பருவத்தையும் கொண்டாடி மகிழ்கிறார். ஓரிடத்தில் "செந்நெல் அரிசி சிறு பருப்புச் செய்த அக்காரம் நறுநெய் பாலால்" என - செந்நெல்லரிசியும், சிறு பயற்றம்பருப்பும்; காய்ச்சித் திரட்டி நன்றாகச் செய்த அக்காரம் என்கிற கருப்புக்கட்டியும்; மணம் மிக்க நெய்யும்; பாலும் ஆகிற இவற்றாலேயும் "கன்னலிலட்டுவத்தோடு சீடை காரெள்ளினுண்டை” எனவும் அப்பம் கலந்த சிற்றுண்டி, அக்காரம் பாலில் கலந்து என்பதாகவும் சிறந்த சிற்றுண்டிகளை பெருமாளுக்கு சமர்ப்பிக்கிறார். தவிர பெருமாளுக்கு சிறந்த பழங்கள் பல சமர்ப்பிக்கப்படுகின்றன. இவற்றுள் நாவற்பழமும் சிறப்பிடம் பெறுகிறது. 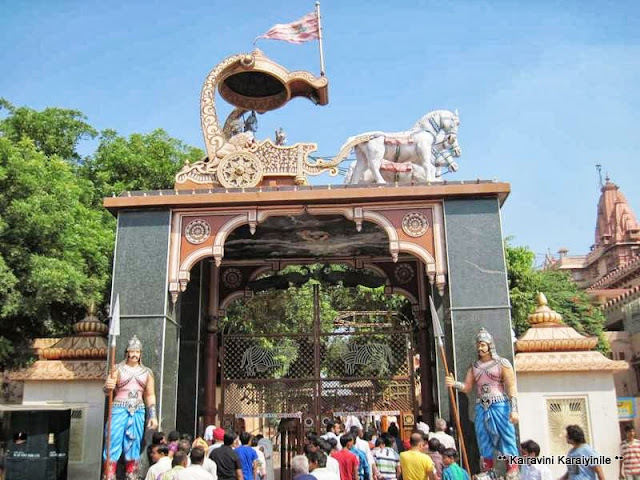 Mathura is the holy place where Lord Krishna was born…. ~ the centre of what is fondly referred as Braj bhoomi. Remember Lord was born in a prison cell at Mathura, the capital of Surasena kingdom ruled by Kamsa, the maternal uncle of the Lord. This is a very old place dating back to Ramayana days. At the place where Lord Krishna was born now exists a Temple popularly known as ‘Janmasthan temple’ - Kesava Deo Temple considered most sacred for all Hindus. 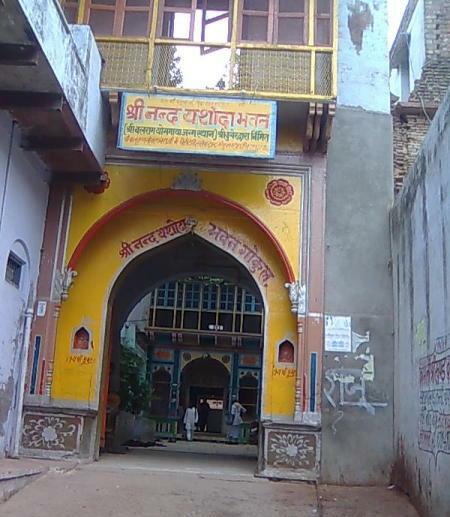 There is a huge complex comprising of a small temple, the Janmasthan, gallery, a huge temple later built by Dalmiyas – the prison cell – the exact place where Lord Krishna was born is under a doom – all heavily fortified and guarded these days. At the Janmasthan is the most beautiful Kehsav Dev(Krishna), the worshipped deity of this temple. According to traditions the original deity was installed by the great-grandson of Krishna. This temple is considered a monument of Gupta period (320 to 550 CE)which was destroyed in 1661 CE by Aurangzeb. Vrindavan is the twin town of Mathura and there are other holy places of Gokulam and Govardhana giri – all in the vicinity. Our Ithihasa purana extols the living of Lord Krishna at every stage of his life – right from his birth in prison cell, to moving across river Yamuna during the heavy downpour; to his growth of every stage at Gokulam, his plays at Vrindavan to the Great battle at Gurukshetra and more………. Not far away, may be around 10 kms away from the birthplace Mathura across river Yamuna is the mystic Gokul, the quaint village. People here are simple and totally believe that it is the sacred earth where Krishna and Balarama spent this childhood blissfully. 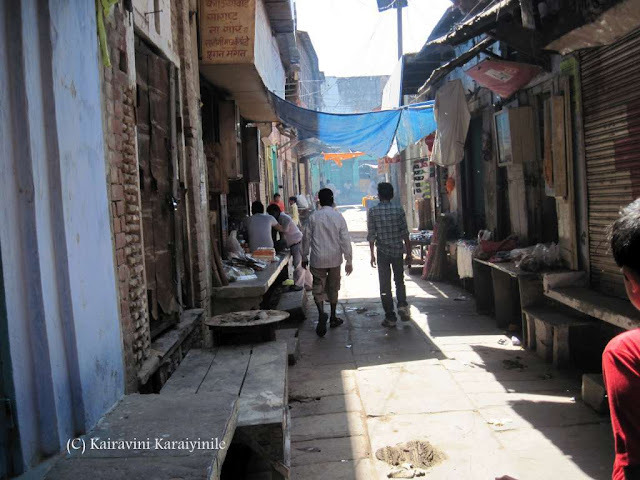 On a casual conversation, one small shop owner remarked – that the milk at Gokulam would only be sweet, for it is the bhoomi of Lord Krishna, whereas Mathura is Asura boomi – the land of demon. These areas are known as Brajbhoomi, land of Krishna derived from Sanskrit word Vraja. Shri Thakurani Ghat is believed to be the place where Vasudevar carrying Lord Krishna on his head, reached Gokul. There is this temple nearby, which locals say that Shiva waited for few days to have darshan of the Child Krishna. Brahmaand ghat is believed to be the place where little Kannan ate dust and whence Yashodha had the fortune of seeing the Universe in His mouth and understanding the greatness of the Lord. Gokul is a Srivaishna divyadesam, sung by Sri Periyalwar, Andal and Thirumangai Azhwar. Books describe the Moolavar of this sthalam as Navamohana Krishnan in standing posture with Rukmini and Sathyabama piratti. The temple sung by Azhwars do not exist now – there is purana mandir and many other places considered holy. The land, the village is considered holy and for us believers, it does offer great sense of happiness to be there for a few minutes in life. 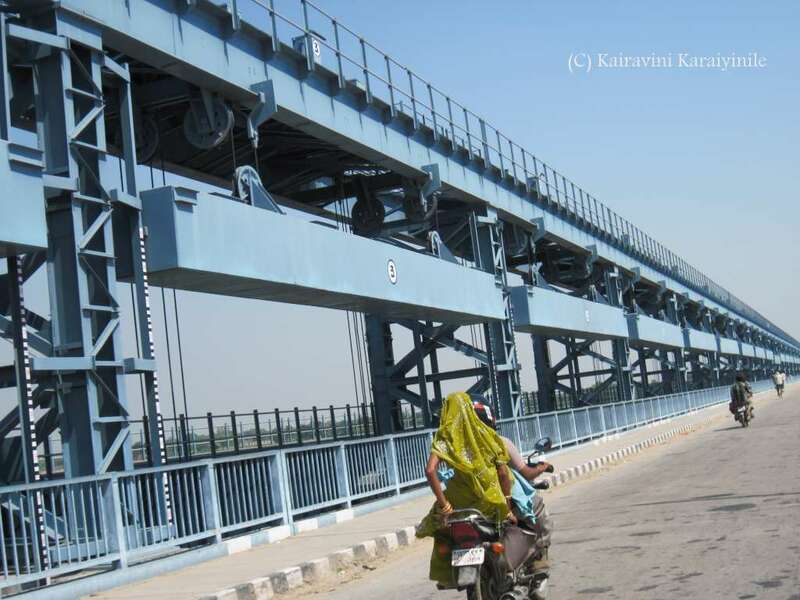 crossing Yamuna river bridge to reach Gokul.